Our white tumbled opal "Slabs" are thin and flat opals that vary from batch to batch, but pieces are generally pretty big between 4mm and 12mm in size and are thin ( 1mm or so). 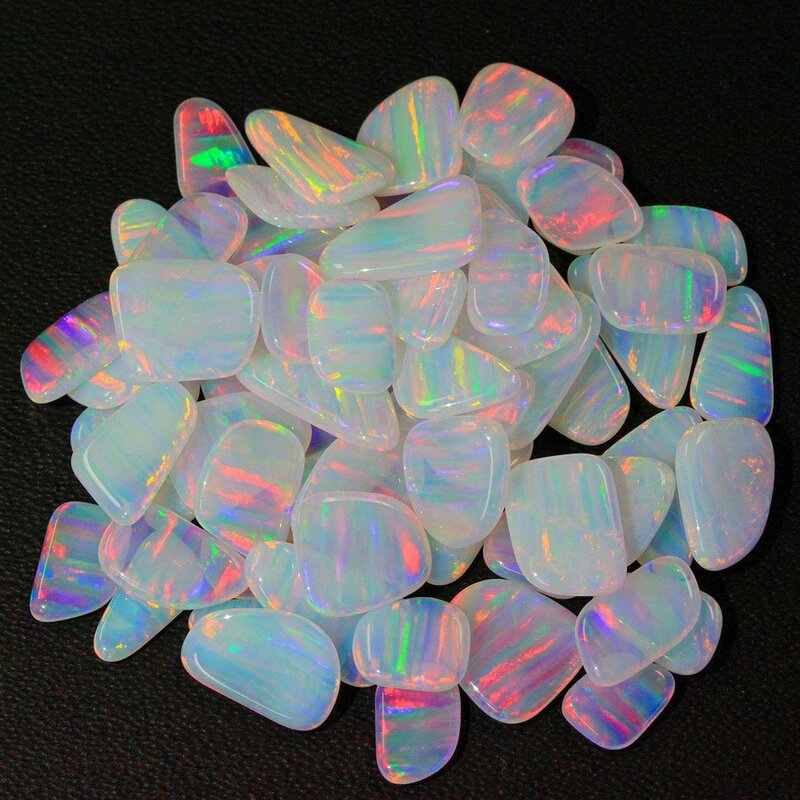 This material has great fire (cut from the same material as our AAA tumbled opals) and a lot of surface area so they are best used like our coin opals. You can expect 4-8 pieces per gram and varying, geometric type shapes (squares, rectangles, triangle...) . If you have desired size, shape or pieces per gram, let us know during checkout and we will do our best to find the size you need. Hat tip to our homie Bronx Glass for naming this opal shape. If you are looking for more nugget shaped top quality tumbled opals, please see our AAA selection.